exercise but a good diet. 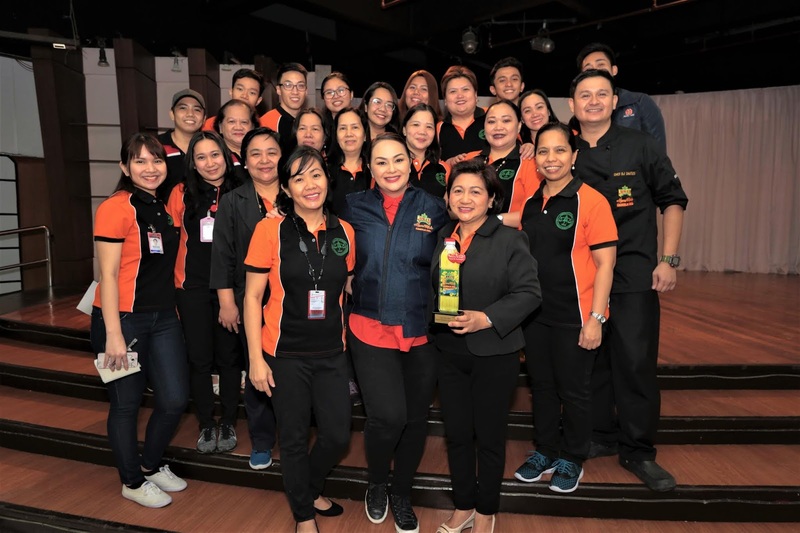 This Nutrition Month, Jolly Heart Mate Canola Oil and the Philippine Heart Center (PHC) partnered, once again, to spread the gospel of delicious, heart-healthy food. 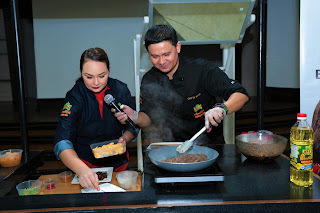 Jolly Heart Mate Canola Oil Brand Ambassador Chef Donita Rose and Chef DJ Santos showed over a hundred guests in a recent Philippine Health Center seminar how to make Ube Champorado with fried danggit and Rib Eye Tapa dishes more heart-friendly using Jolly Heart Mate Canola Oil. An ideal kitchen staple that possesses chock-full of benefits such as Vitamin A for good eyesight and high amounts of Omega 3 and 6 that are good for the heart, Jolly Heart Mate Canola Oil is also the lowest in saturated or bad fat among vegetable oils and also has one of the highest heat point that makes it ideal for frying and especially for deep-frying. During the event, a lecture was also given on how people can better manage their weight to maintain good health. 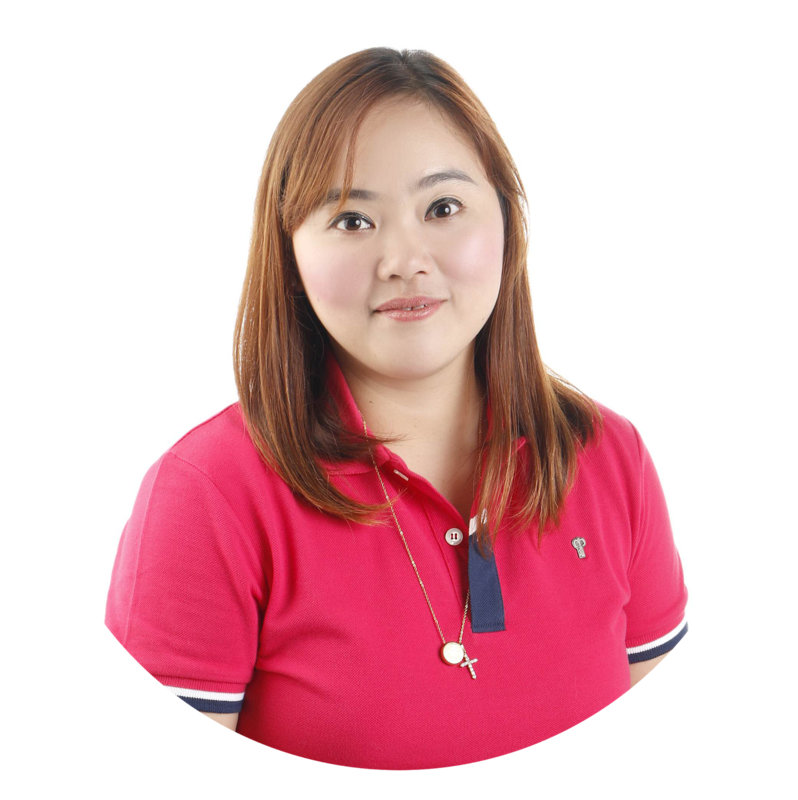 Practical tips as well as uncommon ways to boost weight loss were also discussed. 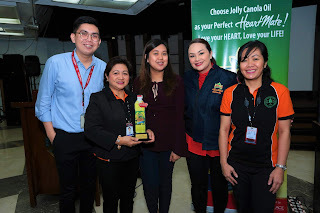 As a service to Philippine Heart Center patients, Jolly Heart Mate Canola Oil also gave free Nutrition Counselling from July 9-13 and provided Karada Scan Body Fat scales for use of the Nutrition Department to help the nutritionists give accurate information about an individual’s body weight, BMI Index, fat percentage and muscle composition, helping patients know their health status. With Jolly Heart Mate Canola Oil, there’s one thing less to worry about when it comes to your diet. From menu ideas to life-changing nutrition tips, Chef Donita Rose’s heart-healthy recipes will surely excite everyone’s taste buds with a diet that won’t leave anyone feeling deprived. 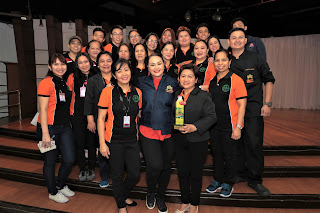 For more information on Chef Donita’s Festival Tour with Jolly Heart Mate Canola Oil, visit their Facebook page on www.facebook.com/JollyHeartMateCanolaOil.